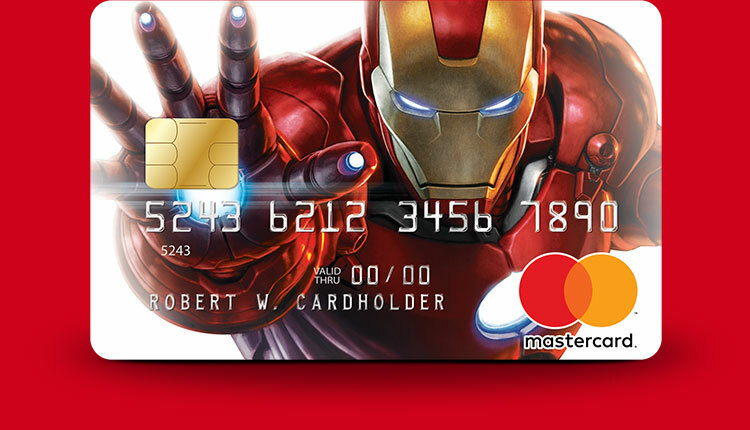 The Marvel Mastercard®Unlock Your Super Powers. Cashback will be paid as a statement credit. 1 See below for details. 2, 3, 4, 5, 6 See below for details. Choose From 6 Different Marvel Cards! Which card will you choose? Go out. Dine out. Explore the Marvel Cinematic Universe In Vegas And Get Rewarded. purchased at Marvel Avengers S.T.A.T.I.O.N. 7 See below for details. Please click "APPLY NOW" to go to the Synchrony Bank website for credit card application and for complete Marvel Mastercard Terms and additional details. 1 1 Subject to credit approval. Cashback on purchases will be paid as a statement credit within two billing cycles. Exclusions apply. See Cashback Program Terms for details. 2 See Rates, Fees and other cost information by linking here. 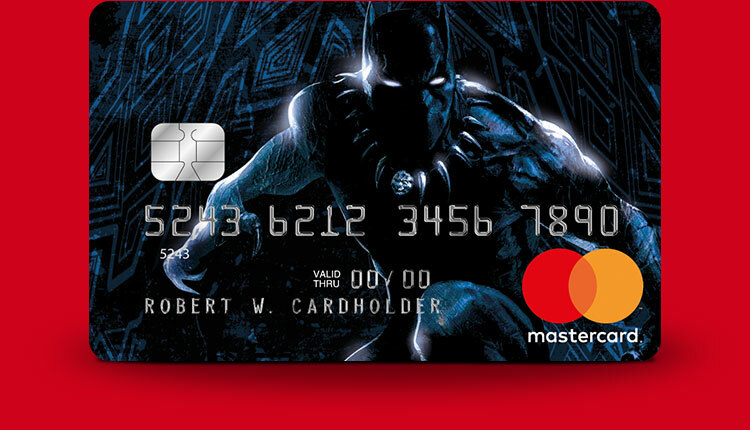 3 A $25 statement credit will be posted to your account within two billing cycles after your first purchase using your Marvel Mastercard. 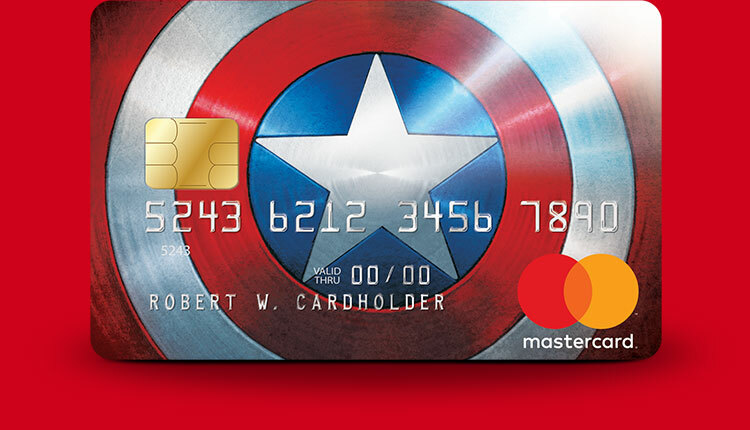 4 Must use your Marvel Mastercard to receive discounts. 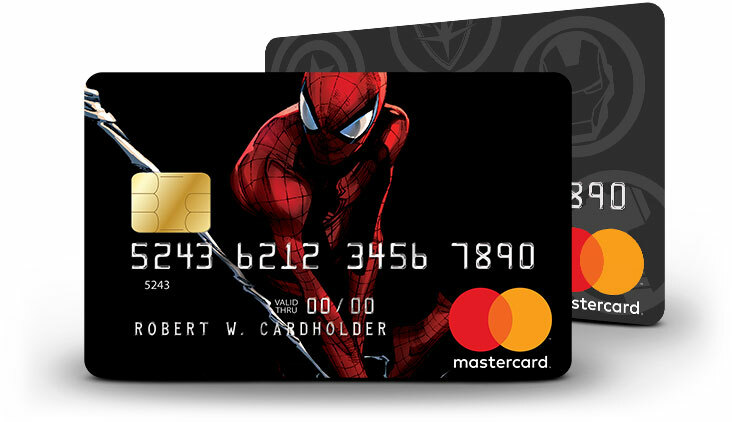 Cardholders who have not saved their Marvel Mastercard as a payment method must use Marvel Mastercard and designated promo code to receive discounts. Purchases are subject to credit approval. The discount is valid on phone orders and orders placed online at MarvelShop.com and does not apply to shipping and handling charges, gift wrap or gift boxes, gift cards, publications, memberships, media, games and accessories, electronics, Sideshow Collectibles, Limited Edition merchandise, personalization, and items not in stock. Exclusions subject to change. Cannot be combined with any other promotional offers, except shipping, unless otherwise stated. Can be applied to already discounted items on MarvelShop.com. No adjustments based on the discount will be made to prior purchases. Returns and exchanges subject to discount taken at time of redemption. Void where prohibited. 5 Must use your Marvel Mastercard to receive free shipping. Cardholders who have not saved their Marvel Mastercard as a payment method must use Marvel Mastercard and designated promo code to receive free shipping. Free shipping applies to standard delivery anywhere in the U.S. or its territories. Minimum order value and exclusions may apply and will be communicated at time of offer. 6 Marvel Unlimited (MU) is a digital comics subscription service that gives you instant access to over 25,000 Marvel comics on your mobile device and PC. Cardholders who are not MU members will be sent, via email, an offer redeemable for three (3) free months of a monthly MU membership. 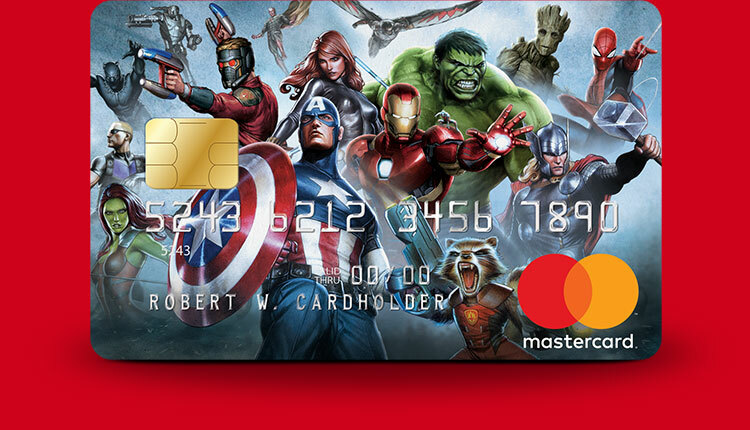 A valid Marvel Mastercard is required to redeem the offer. Auto-renewal and other terms and conditions apply. Cancel anytime following registration. See Marvel.com/unlimited for MU details. Cardholders who are current MU members will be sent, via email, an opportunity to redeem Marvel digital comics chosen by Marvel at its sole discretion. 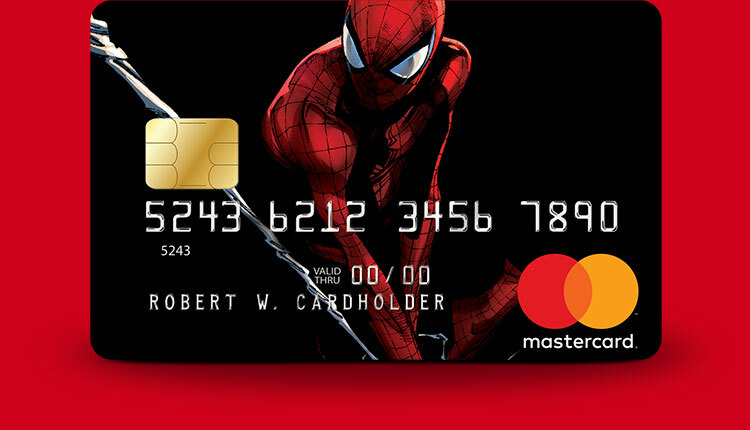 7 Must use Marvel Mastercard to receive discounts. Purchases subject to credit approval. Ticket purchase is limited to four (4) tickets per cardholder. A $5 service fee applies to each ticket. To be eligible for the 20% off tickets discount, cardholders must purchase tickets at the box office; discount is not eligible for online redemption. No adjustments based on the 10% off discount will be made to prior purchases. Returns and exchanges subject to discount taken at time of redemption. Void where prohibited. Discounts cannot be combined with any other promotional offers. Marvel user account and internet connection required for all Marvel online offers. 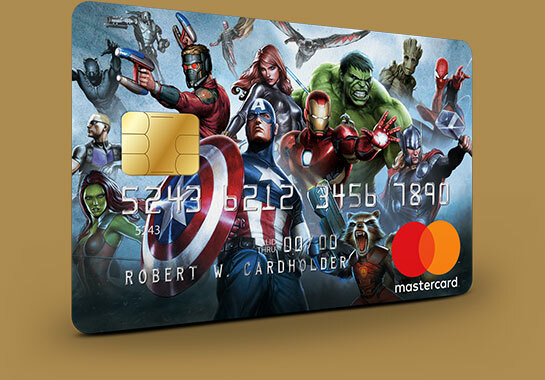 Marvel Mastercard is issued by Synchrony Bank pursuant to a license by Mastercard International Incorporated. Mastercard is a registered trademark, and the circles design is a trademark of Mastercard International Incorporated.